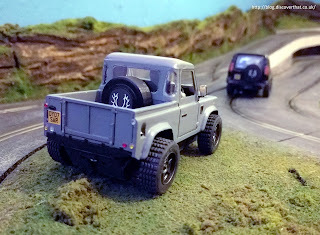 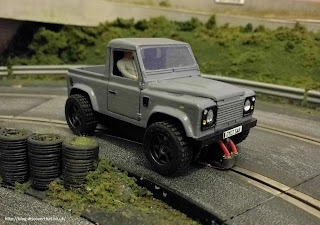 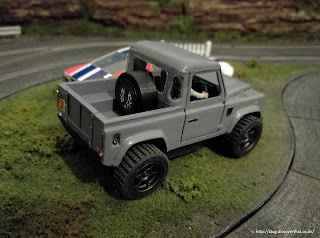 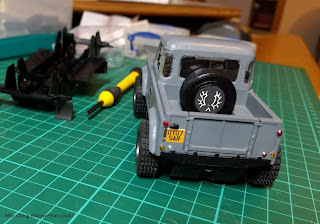 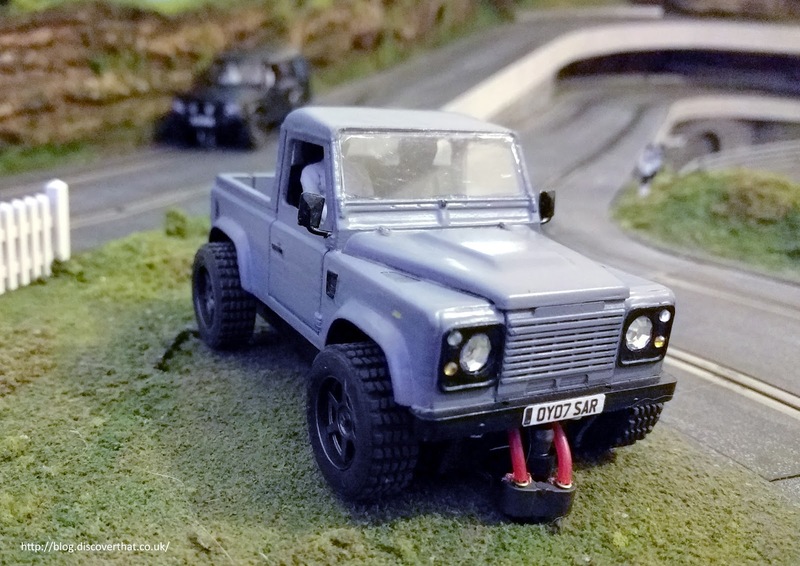 Based on a Land Rover Defender pickup. 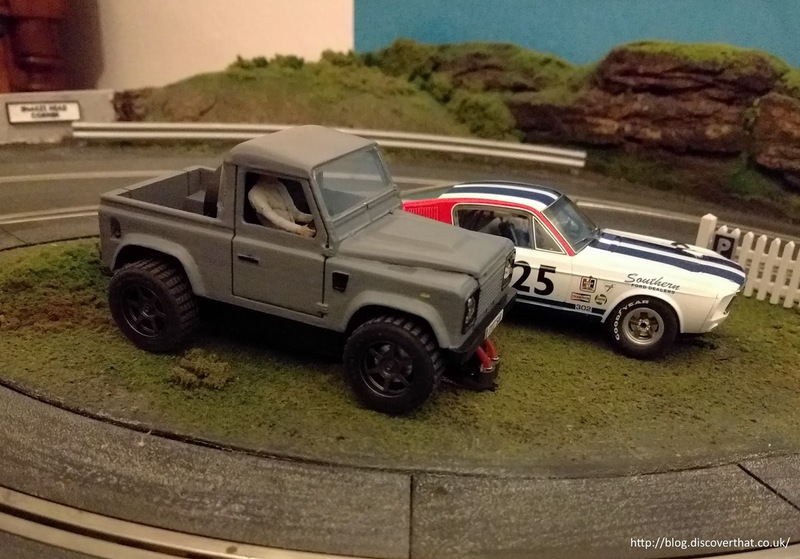 This is not one particular car but the style I like based on lots of images on the Internet. It is 1/32 scale with the body and chassis being 3D printed. 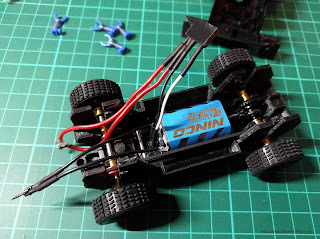 The body is from my own designs and I modelled the chassis based on a Ninco but shortened. 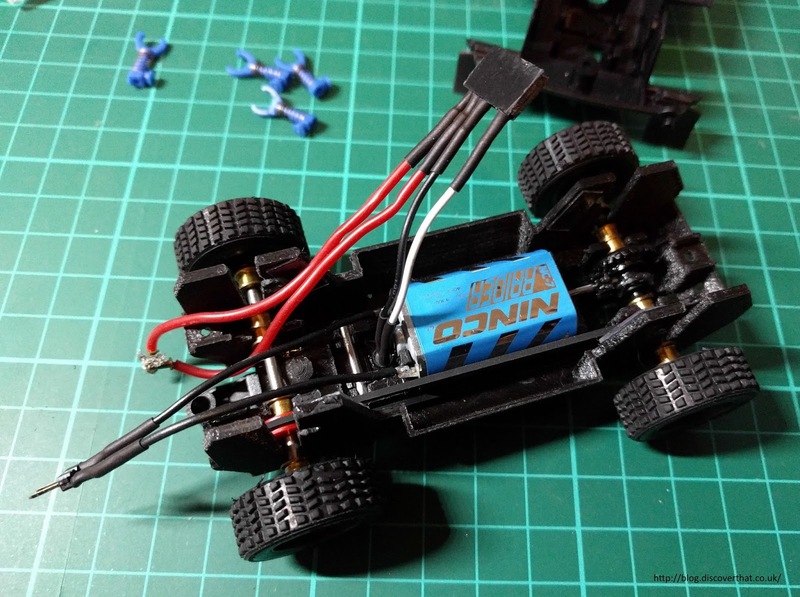 It fits Ninco 4 wheel drive running gear and motor from one of their RAID trucks. 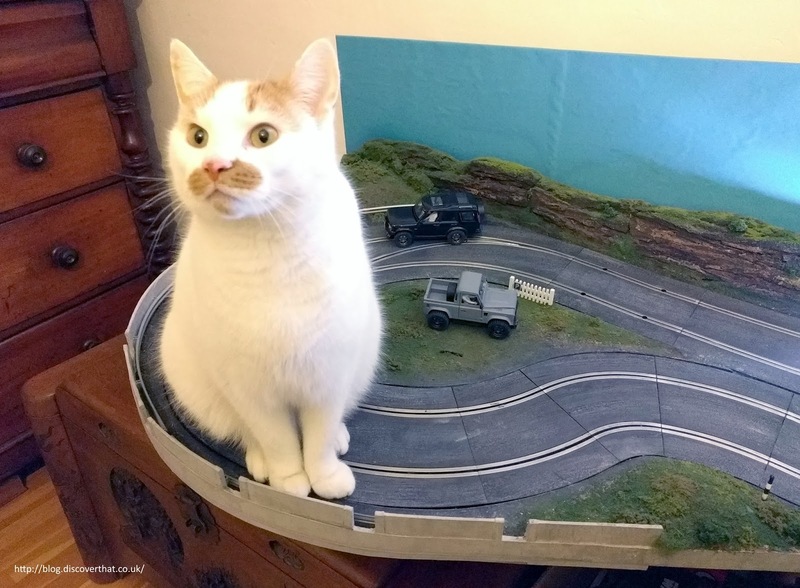 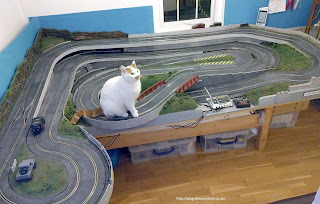 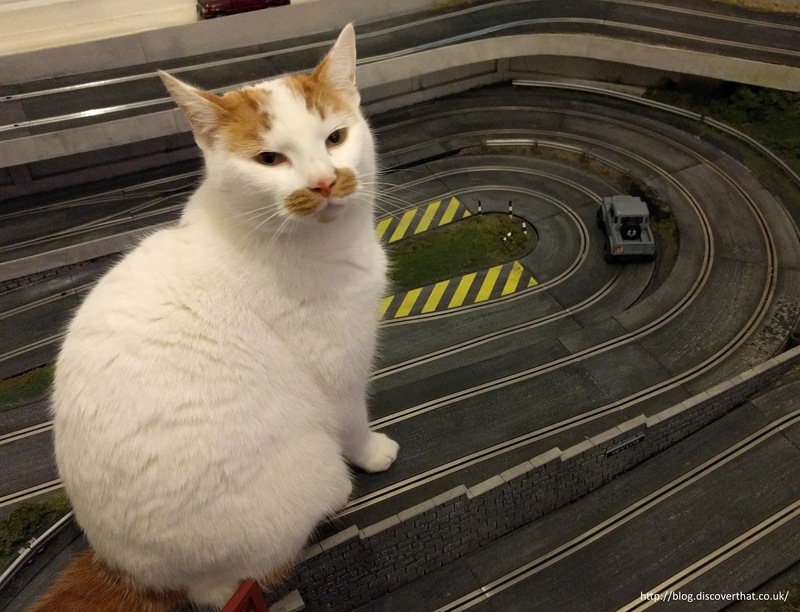 I ran it round the track to make sure it was working.